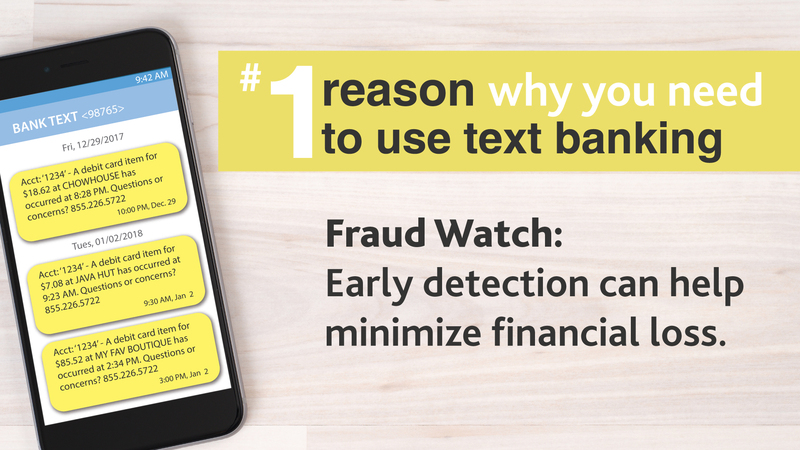 Make text banking your first defense against fraud. Fraud can happen to anyone. It happened to me and text banking tried to warn me. I was out of town. I noticed two purchase alerts in my messages. My wife and I share an account and she had recently been to a craft fair, so I assumed they were hers. I was in a hurry and did not verify the transactions. My mistake. A couple of hours later, my bank called to inform us these were fraudulent charges on my wife’s card. Luckily, they caught it quickly and canceled her card before other fraud occurred. 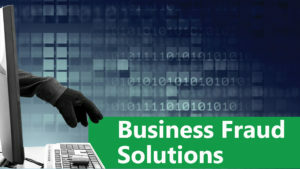 Fraud departments are great at what they do, but so are fraudsters. It’s ultimately up to me to keep track of what is happening on my account. Text banking allows me to monitor account activity quickly and easily throughout the day from my phone. 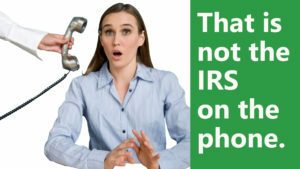 If I don’t recognize an expense, I can check it out right then. 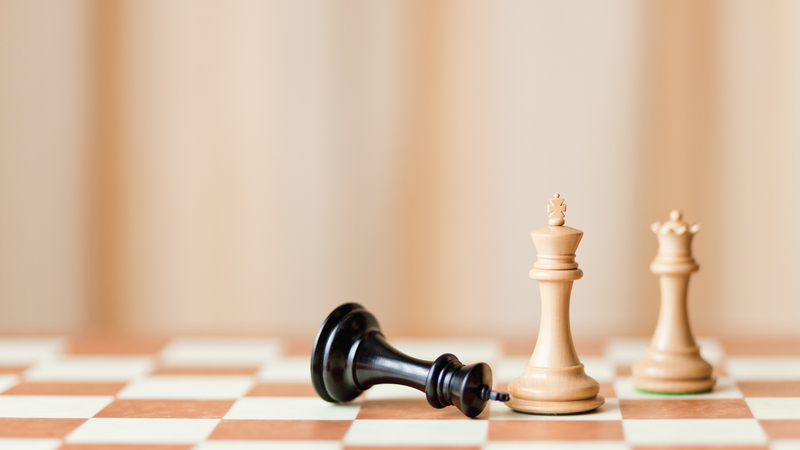 Detecting fraud early can help minimize loss. Many major credit card companies also offer text alerts. Let text banking help you guard your money. Learn more ways to protect your money at RCBbank.com/GetFit. Want to know more about text banking? For more information about text banking and to read frequently asked questions, visit our Text Banking page. To sign up for text banking, visit any of our RCB Bank locations. Message, data rates and fees may apply. Ask for details. 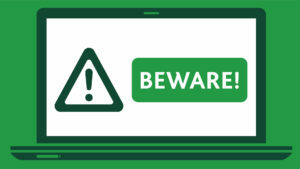 Delivery of alerts may be delayed for various reasons, including service outages affecting your phone, wireless or internet provider, technology failures, and system capacity limitations. Any time you review your balance, keep in mind it may not reflect all transactions including recent debit card transactions or checks you have written. Opinions expressed above are the personal opinions of the author and meant for generic illustration purposes only. Message, data rates and fees may apply.